It all began in 1946 when founder, Stanley Allen opened his first dealership on Pacific Coast Highway in Laguna Beach, California. A great deal has changed since then, including our brand new luxury showroom situated in Laguna Niguel. You may have noticed already that we are different from most dealerships. There is an air of loyalty and professionalism here. Our team is comprised of familiar faces, most of whom have been with us for 10, 20, or even 30 years or more. And the fact that you are here says a lot about you. It says you have high standards for selection and service. It says you recognize quality when you see it and that you deserve VIP treatment from a dealership that has a history of unprecedented customer appreciation. Family values have always been at the core of our business. We welcome you and your family to enjoy the car buying experience from our dealership. Allen Cadillac GMC features a STRUT demonstrator vehicle on its showroom floor and offers the "STRUT VIP Service" to personalize each vehicle to suit the client's needs. 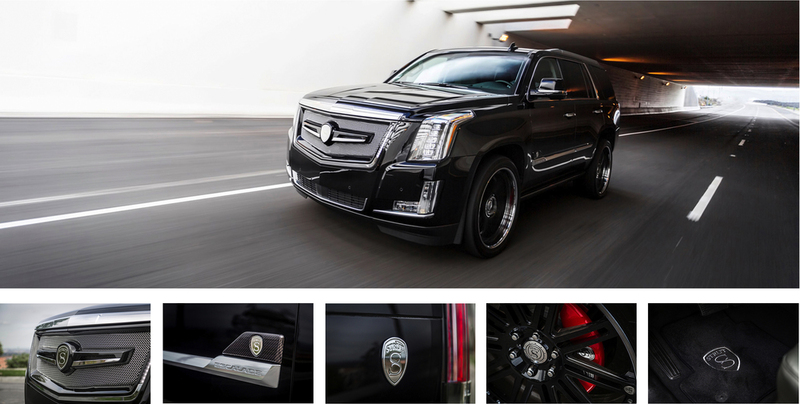 Please fill in your details below and we will personally valet a VIP appointment with Allen Cadillac GMC to discuss your bespoke STRUT Cadillac Escalade or STRUT GMC Yukon Denali Collection.